El Tapatio was our location of choice on May 29, partly my decision because I have eaten at the location in Columbus, Ne. but like to compare restaurants of the same to their different locations. I am not a big Mexican fan to begin with but the location in Columbus really changed the way I felt about the place and the food when I had it a couple years back. Usually one would think that a couple years into the future the food would probably progress into better tasting and maybe bigger quantity, not here. The location right off of Gordon Drive did not have me wanting to come back for seconds. The overall service was decent, but not something to break out a big tip for. I have also had better tasting Mexican food at an American based restaurant. 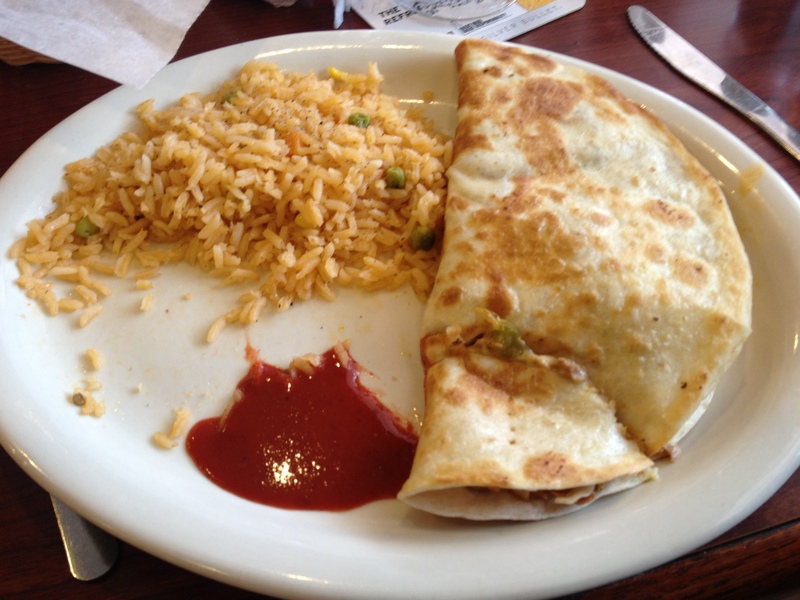 I got a steak quesadilla with rice. While the quesadilla was only but one tortilla folded up instead of the usual two quesadillas layered with the toppings in the middle, I make bigger and better quesadillas at home. The rice was also just plain grade, it looked and tasted cold with little to no taste. This meal was overpriced for the quality and quantity that they give you. The atmosphere was not very pleasing as well. Not a lot going on other then the conversations of me and my friends about what was going on in the restaurant. It was hard to order food and pay the tabs when the waiters and waitresses could barely speak any English and it took over 10 minutes to get a new drink after your first one was finished. Overall I wouldn’t recommend this place to people who wanted a traditional style Mexican meal. You would be better off buying the ingredients and learning how to make the meal yourself. It will save you lots of time and money. The best part about the meal was the chips with salsa and cheese dip while you waited for your meal, but lets be honest, its hard to mess up a classic combination like that.